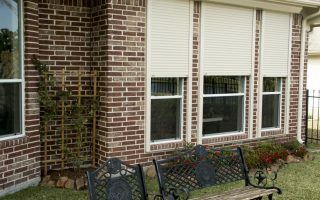 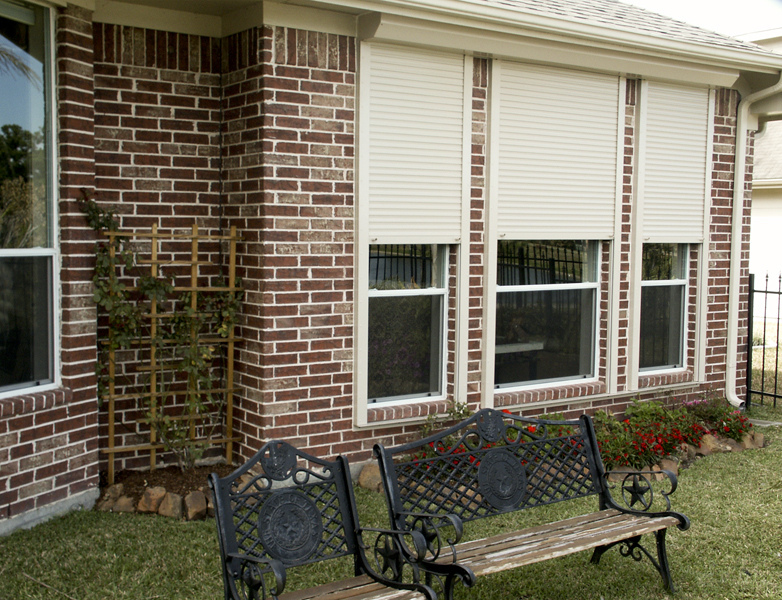 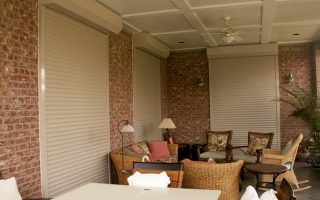 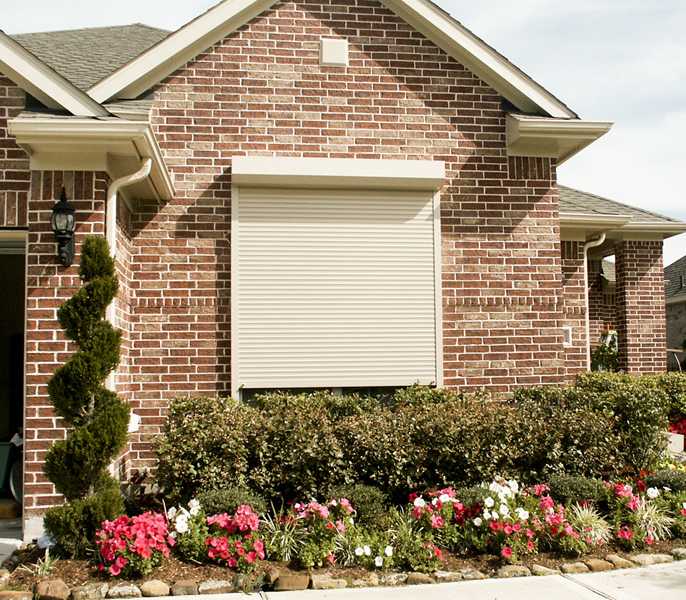 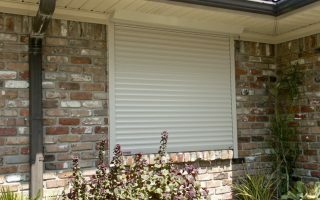 Residential Roll Shutters add beauty and value to your home while allowing you to control climate, privacy and security. 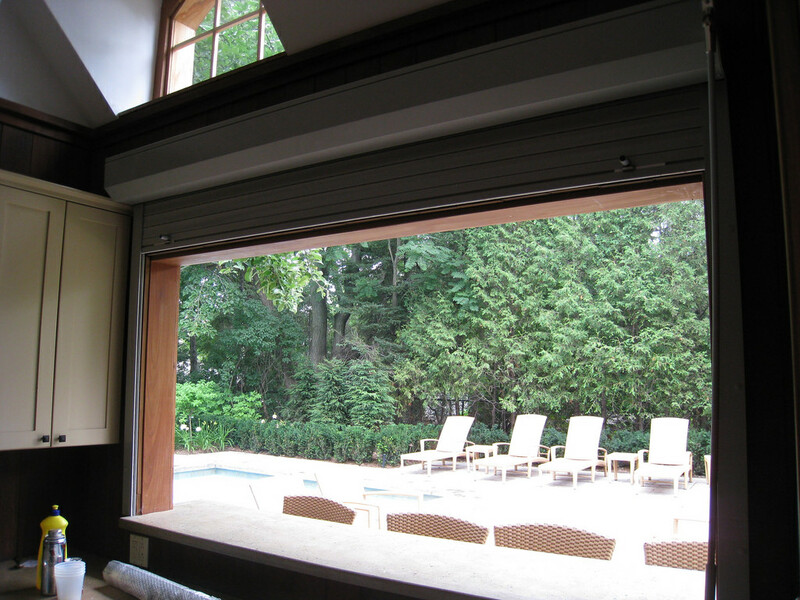 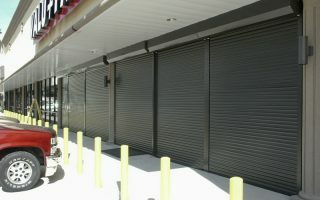 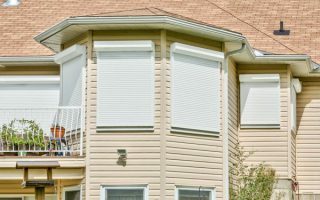 Regardless of the season, a home or business equipped with Roll Shutters uses far less energy. 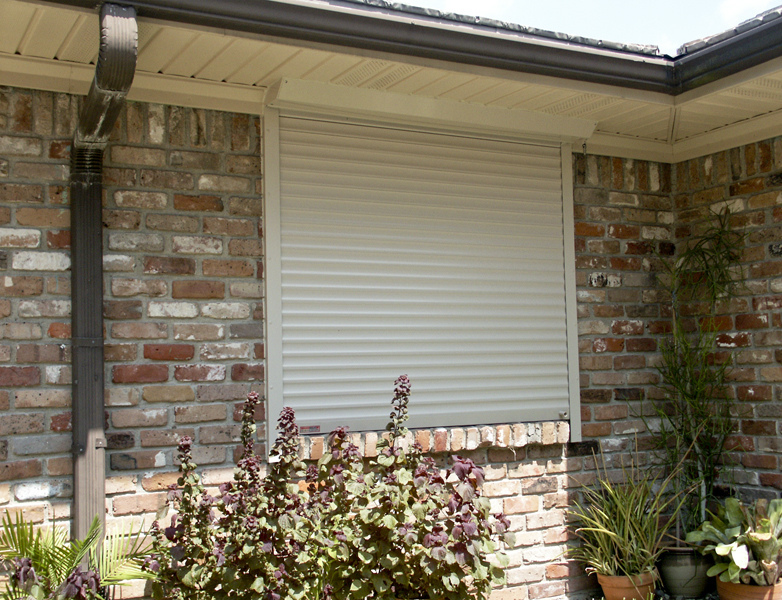 During the winter months, Roll Shutters limit heat loss from your home and reduce energy consumption. 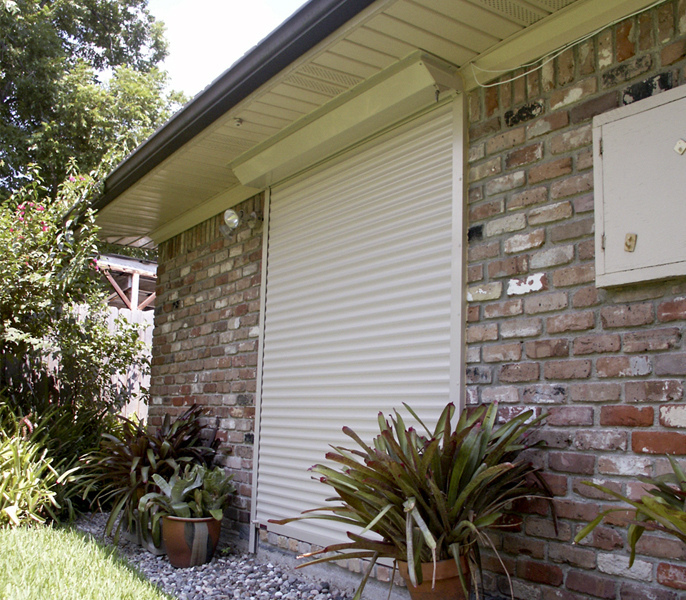 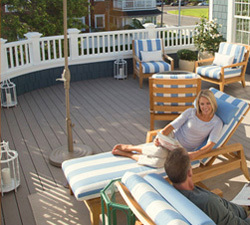 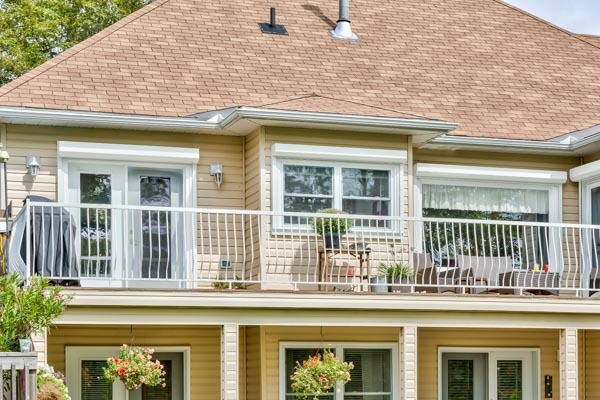 In the summer, Roll Shutters help slash your cooling (AC) costs and save you money. 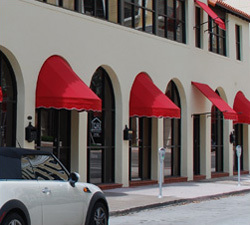 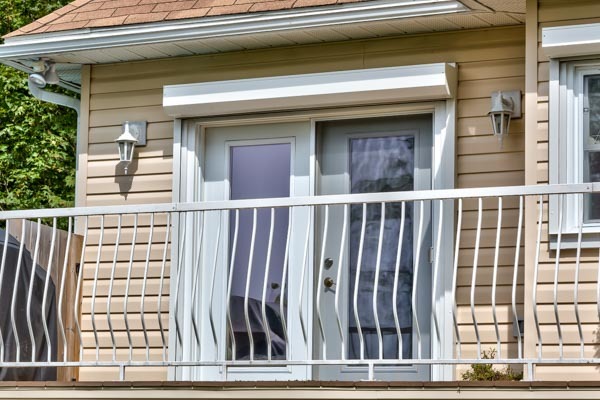 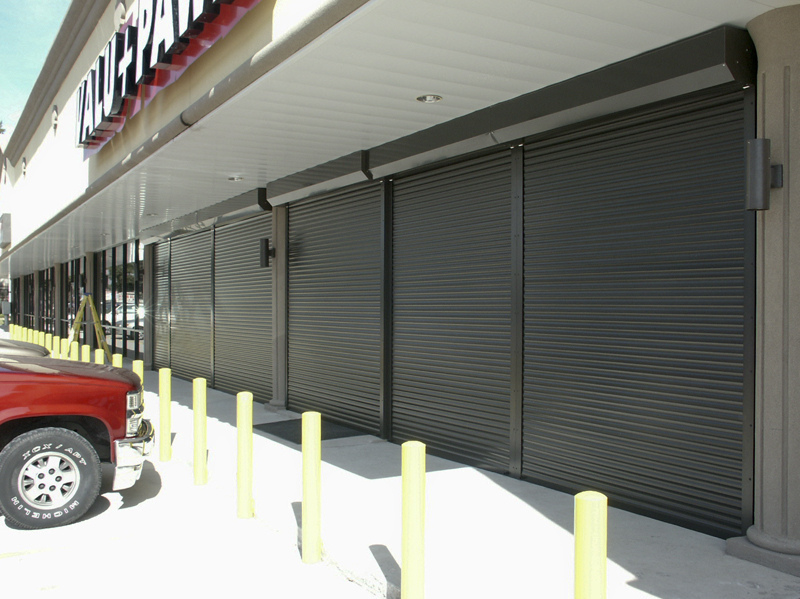 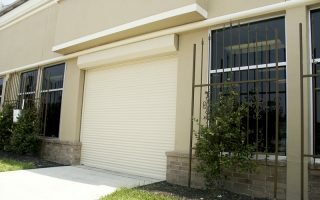 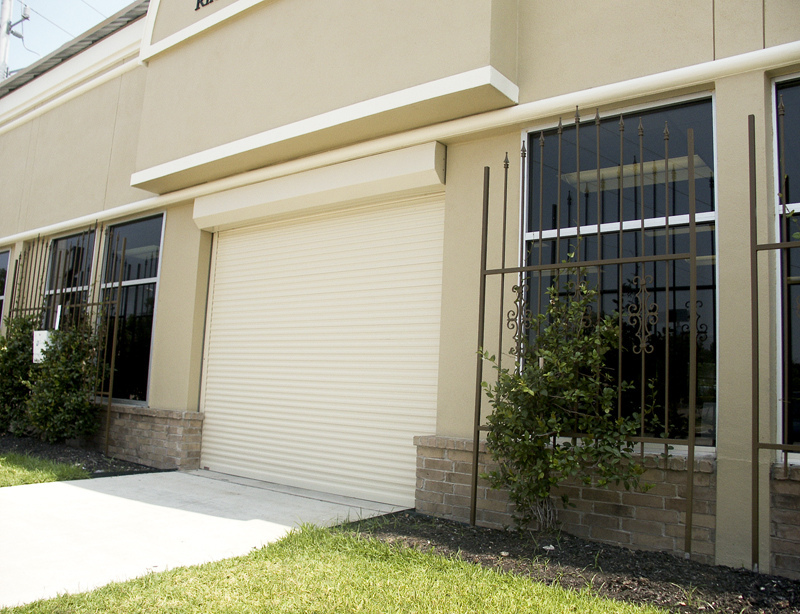 ShadePro Security Shutters are manufactured from double extruded “commercial” type aluminum slats to provide you with unparalleled asset protection on openings up to 18′ wide by 12′ high. 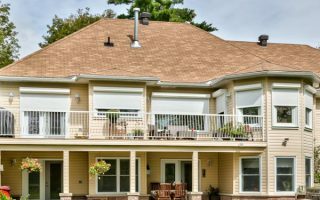 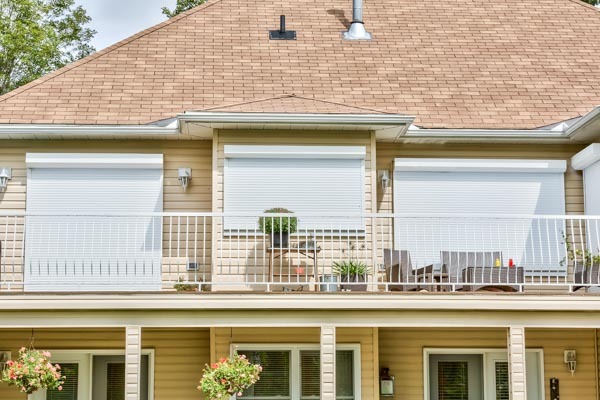 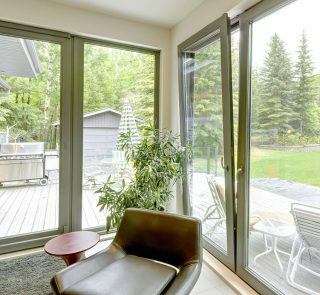 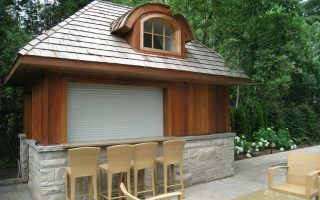 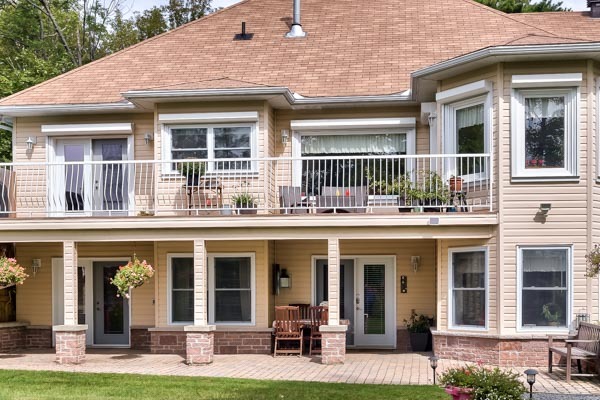 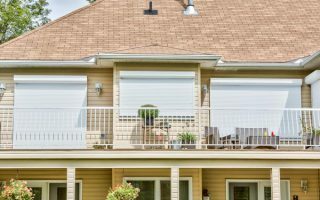 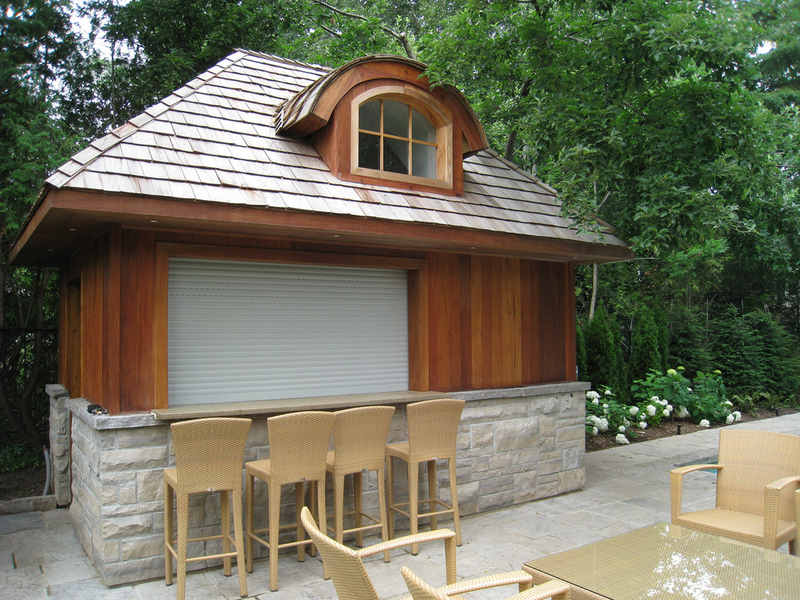 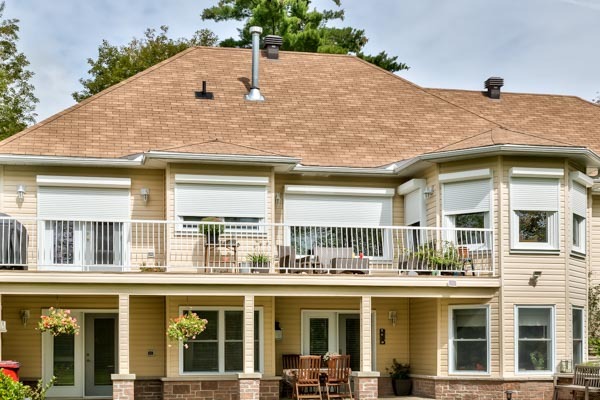 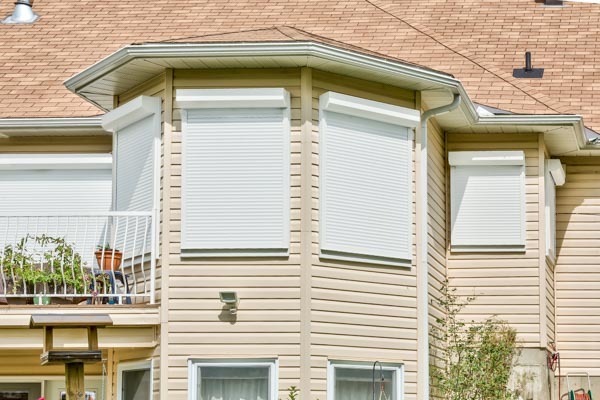 ShadePro Roll Shutters are manufactured, in Canada, using the latest German engineering and technology and are built to deliver years of maintenance free operation. 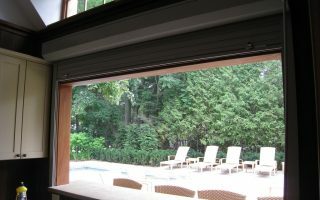 The shutter is housed in a small box installed above windows or doors. 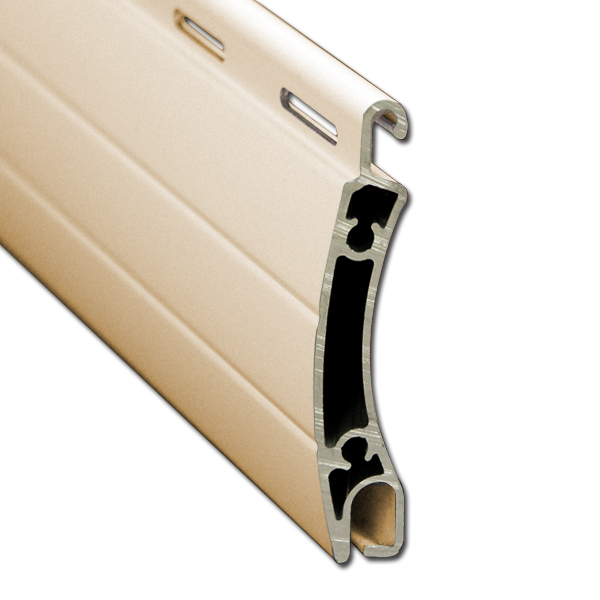 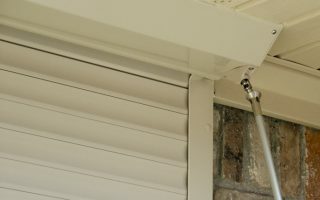 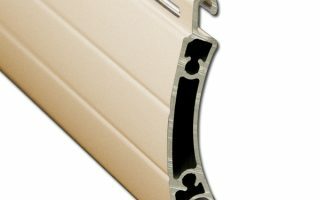 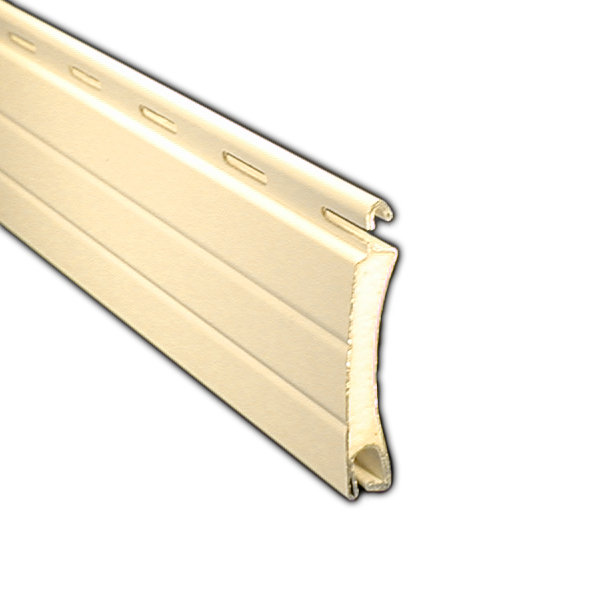 Tracks are mounted on each side of the window or door frame that allow the shutter to slide up and down (rolling into or out of the housing box). 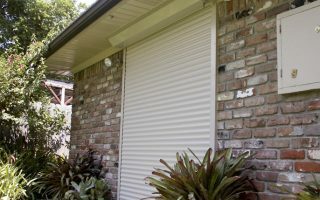 The shutter can be stopped in any position to let in full, partial, or no light at all. 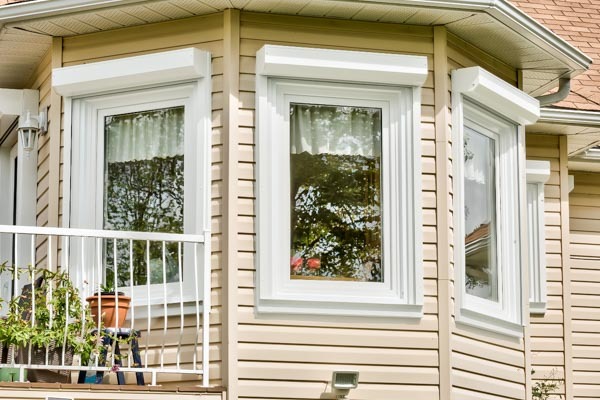 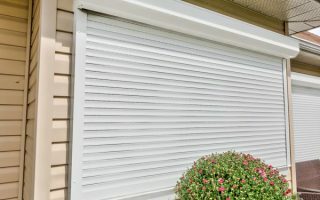 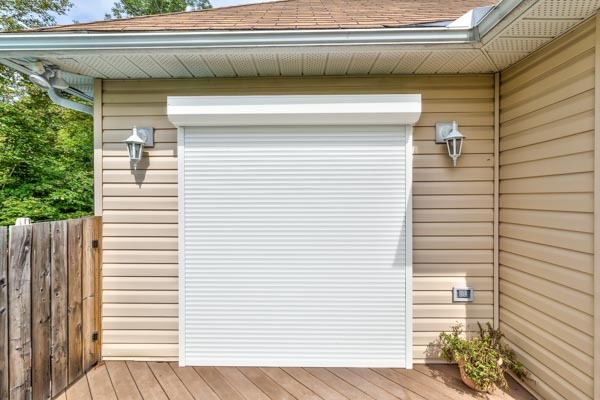 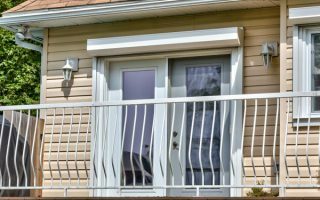 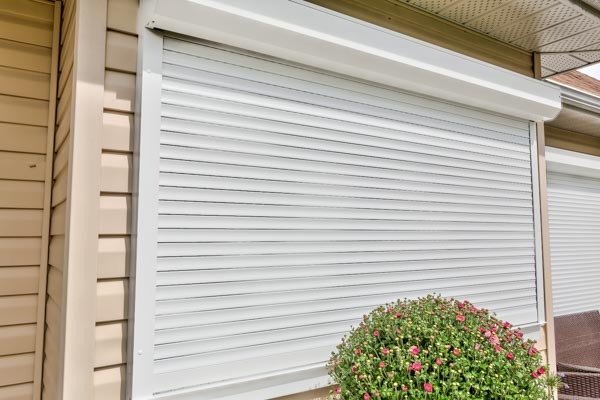 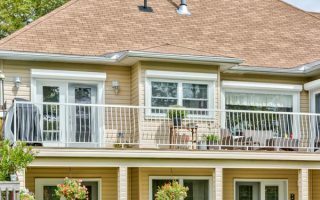 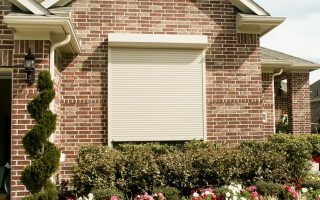 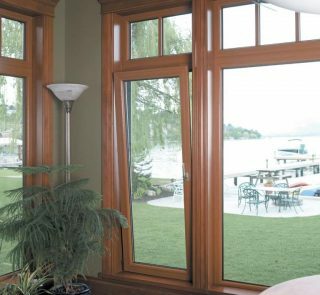 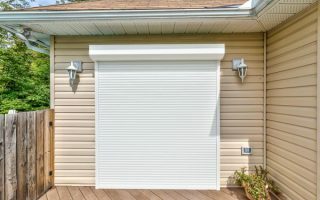 While shutters are typically installed on the outside of your home, they are opened from the inside with your choice of a manual or electric operating mechanism. 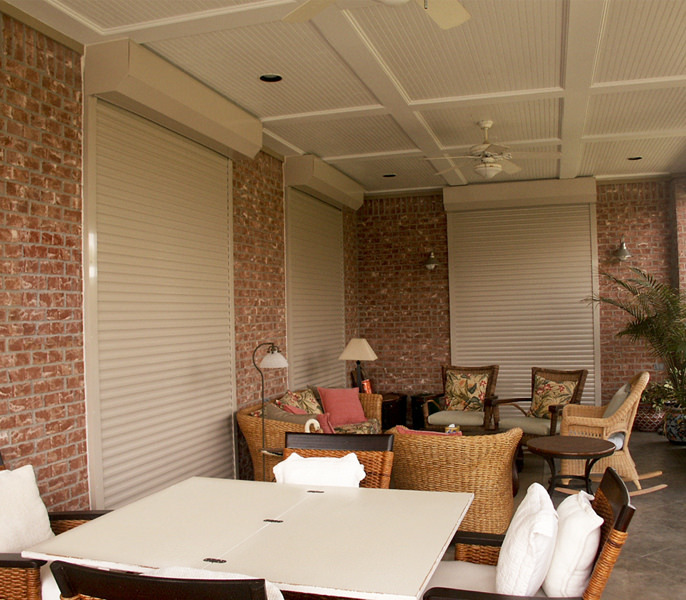 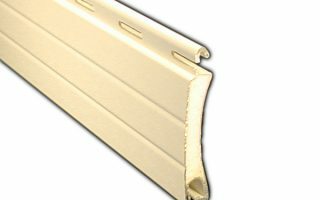 The shutters are available in a variety of neutral colours including; white, grey, brown, or beige. 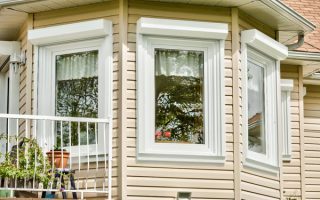 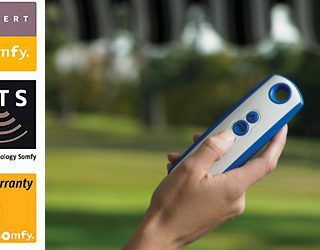 Specialty colours are available – please inquire. 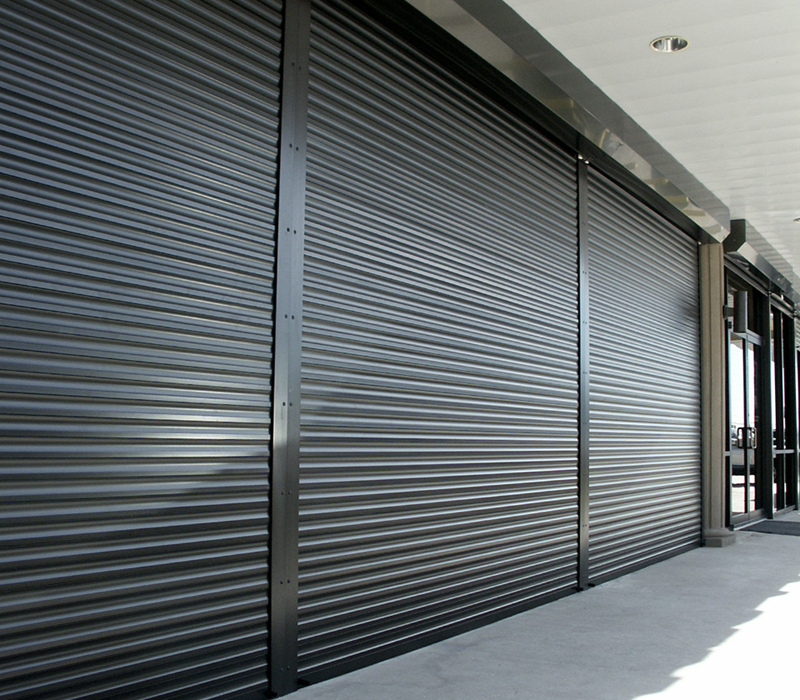 Choose between a tape or crank operated roll shutter, depending on the size and weight. 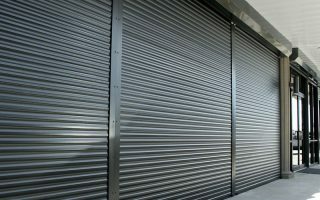 Tubular motors, from Somfy, are located inside the roll shutter mechanism are available with regular switches, remote controls or timers. 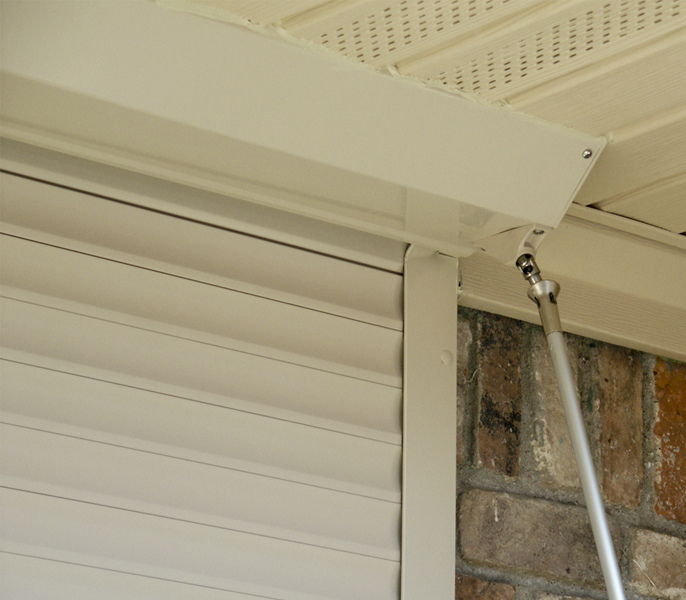 All Somfy motors are compatible with Home Automation and smart phone interfaces.